In theory, it is easy to say that as a firm you aim to recruit and source candidates from a diverse range of places. In practice, this can be difficult. Typically, tech founders and workers come from homogenous industry and educational backgrounds such as engineering, data science, finance and consulting. Candidates may be sourced through recruiters (who often only access this same pool of candidates) or they are sourced through personal contacts (who tend to recruit in their own image – this is known as affinity bias. If you choose to work with a recruitment firm, make sure they are well versed with your D&I strategy. Remember, the recruiters are essentially representing your organisation during this important stage. Experiment with unusual ways to recruit talent – consider social networks (i.e. Twitter or Instagram). 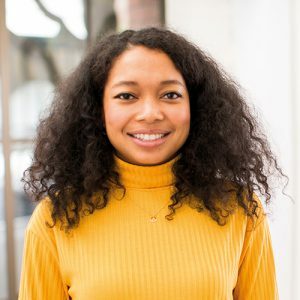 Backstage Capital, a venture capital firm who invests in underrepresented founders (particularly black, Hispanic, LGBTQ+ and women founders), swears by this new method. 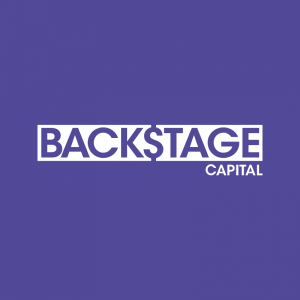 The Backstage Capital team, or crew (as they are known), was launched by Arlan Hamilton who was determined to hire a diverse crew to represent her bold mission. The crew now boasts 21 members. Team members come from a variety of educational backgrounds and broad spectrum of professional experiences. But! They mostly have one trait in common – they met and reached out to Hamilton on Twitter before joining. Not only is Twitter free to use, but it is accessible for anyone with a phone or access to internet connection (if you don’t have access at home, pop down to your local public library). It’s one way to access new people outside of local networks, education circles, or the professional industry you’re in! ‘competitive’ and ‘determined’2) reduce the likelihood of women applying to jobs. By contrast, phrases which highlight flexible working options, such as ‘we are open to flexible working’ have shown to increase applications from female candidates and parents. There are free software programmes available to scan job descriptions for gendered words: these tools ensure that job descriptions are not actively discouraging applications from certain gender groups (see Part Five: Tools and Resources for examples). Additionally, it is worth stating on the job description that your company is committed to promoting diversity and inclusion. Also let candidates know that if they have any questions about accessibility, or policies that might affect their ability to do a good job, to get in touch. Many relevant university programmes run networking events, seminars and careers days focused on providing their students with access to potential employers. It is important to select events which are likely to have diverse audiences, and to ensure that any presentation from the firm leads with the firm’s commitment to diverse hiring. It is key to remember that it is not just the tech events within your sector that you can be involved in – many universities (and schools) also run minorities-focused events and groups, encouraging and inspiring minorities in business, such as the African OBN at The University of Oxford or the Dynamic Women In Business Conference at Harvard Business School. It is crucial to be involved in these events, and to present the firm’s vision and mission clearly to their members. There are many other ways to engage with the relevant university programmes including job postings on relevant portals (e.g. MBA course portals), engaging with their outward content (e.g. blogs, social media channels), guest lecturing/Q&As and sponsorship. Communicate the message to the tech community that your company is actively championing diversity in its hiring and sourcing processes. There are several ways to incorporate this into your organisation’s messaging, once you’ve laid the foundations for this internally. Online presence: Share first or third party content (e.g. articles, or videos) on social media that celebrate and discuss the positive impacts of diversity. The firm website should reflect this as well, (through the language of inclusion and the imagery used). PR: Develop a proactive media/PR programme focused on profiling the achievements of underrepresented employees of your company. It is a good idea to develop relationships with relevant journalists so that they come to you for comment on best practices. Brand ambassadors: If they are comfortable doing so, empower individuals from underrepresented groups within your company to take a brand ambassador approach (through testimonials online, university networks or speaking at events). I would like to see three members of underrepresented groups in the shortlisted group of candidates. one example, do they use software programmes for blind CV reviews? Software tools can help better promote diverse hiring, e.g. by anonymising and structuring application processes. A list of such platforms is found in Part 5 of this guide. 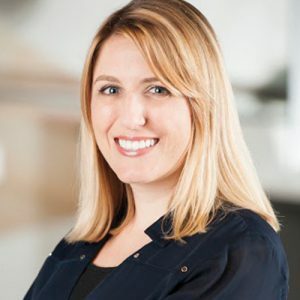 Have a transparent, predetermined assessment process and criteria to keep biases in check and ensure companies and candidates are assessed fairly and objectively. Remember to set your assessment process and criteria upfront rather than during the process. Experiments in the US, Canada and Australia (which involved sending fake resumes to real employers) showed that applicants with ‘white-sounding’ names tend to receive more interviews. Response rates to otherwise identical applications can be up to 50% higher for names that sound caucasian; in the UK, in the figure is just over 75%.3 This is because recruiters (of a similar ethnic demographic) tend to favour candidates with whom they identify. Score each answer immediately after it is provided4, using a simple scale of 1-10. Then compare the scores of all interviewed candidates to highlight the top candidate(s) for the role. This simple, 3-step assessment process is objective, therefore reducing the chances of making biased decisions based on opinion and gut instincts. Select a diverse hiring panel. Discuss angles of vision. 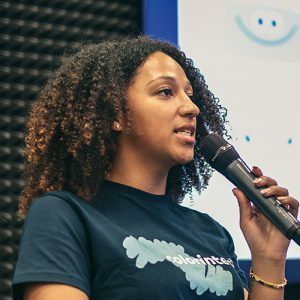 Diverse teams are hired by diverse interview panels. The demographic structure of an interview panel sends a clear message to candidates: a diverse hiring panel signifies a diverse organisation. It also helps to mitigate personal bias during the interview process. A diverse hiring panel will also allow a multitude of angles of vision to be brought in when making decisions will prevent pattern-recognition bias (particularly for senior executives who might over-rely on their experience) and action-oriented bias.3 Applied Team, Applied White Paper, Hiring is Broken, 20184 Bohnet, I. How to Take the Bias Out of Interviews. HBR online, April 16, 2017. Team members should be allowed to express their views individually and independently of one another before debating as a team. This will lower the chances of team members influencing one another and give them the opportunity honest opinions. Try to avoid scheduling interviews when extremely time-pressured, as the likelihood of making quick and biased decisions will increase when CEOs or HR managers are not fully engaged and distracted by other tasks. Fast-growth tech companies are particularly pressured to make decisions fast, and should therefore take extra care when assessing candidates to avoid inaccurate decisions. In practice, there is no prescriptive timeframe for ’enough time’. What matters is that short breathers are scheduled directly before interviews, to allow hiring panels a few moment’s space to ready themselves. Whether successful or not, candidates may have an interesting perspective on a recruitment process – so don’t hesitate to ask for feedback. Would you recommend this company / recruitment process? Do you feel like our process assessed you fairly? What questions do you wish you were asked? Did you feel like the process and culture were inclusive? Did interviewers make you feel comfortable and help you through the process? Try to understand how the candidate is feeling about the job, and what matters most to them (e.g. personal circumstances, child care, flexible working, religious commitments, base salary). Does the candidate feel that there is an opportunity to progress, grow, and develop themselves within the organisation? What, if any, limitations do they potentially foresee with this opportunity? To ensure that the candidate’s references offer a values fit for your company (i.e. what are they like within a working environment, and do they share similar values). As mentioned in the previous section, it is essential to ascertain whether a new employee will be a positive asset to Diversity & Inclusion. Every company has their own unique company language – acronyms or specific terms. It’s important to help newcomers feel like they’re speaking the same language as the rest of the community, so provide them with the resources to help them get up to speed. It is essential that a Buddy System crosses genders, ages, seniority, ethnicity as it will help to embed the new employee into your organisation’s culture. Johnson, S.K., Hekman, D. R., & Chan, E. T. (2016). If there’s only one woman in your candidate pool, there’s statistically no chance she’ll be hired. Harvard Business Review, accessed on October 01, 2018. Knight, R. 7 Practical Ways to Reduce Bias in Your Hiring Process. HBR online, June 12, 2017.